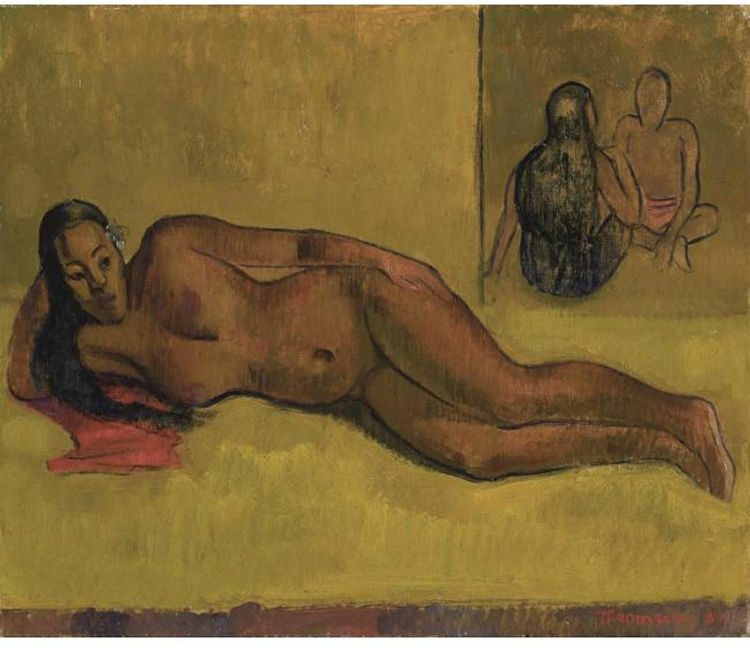 THEO MEIER | Geringer Art, Ltd.
Born in 1908 in Basle Switzerland, Theo Meier, attended the Basle School of Art as a young man, and enjoyed late night discussions with the local painters, an experience which proved inspiring. A commission to paint a portrait by the University of Basle gave Meier his first break. The sitter, Jacob Schaffner, was so pleased with the result that Meier, as well as his fee, was given recommendations to various other famous people, including Max Liebermann, Karl Hofer and Otto Dix. On the basis of these recommendations, Meier travelled first to Berlin, where he met Liebermann and Hofer at the Berlin Academy, and also Emil Nolde, one of the contemporary painters he most admired.He studied with Otto Dix who influenced him immensely. Meier left Europe for the South Pacific at the age of 24. To finance the voyage, he founded a club, in which every member pledged a monthly sum, in return for which they could choose one of Meier’s paintings on his return. He sailed to Papeete by way of Guadeloupe, Martinique and the Panama Canal, inspired by the beauty that he encountered, but also dismayed by the presence of Western influences. After a brief return to Basel, he travelled to in Bali where his life was changed forever. In Bali, he found an innocence that he had not found in Tahiti. He made friends with the German painter Walter Spies, and later moved into the German artist’s bamboo dwelling. He married his first Balinese wife in 1936. When the Japanese arrived in Bali in 1941, Meier received permission to stay in Bali, unlike his friend Walter Spies who met his death aboard a prisoner of war ship crossing the Indian Ocean. Unfortunately, though, many of his paintings were lost, some given away to Japanese sailors. After the war, Meier remarried, fathered a daughter, and found a patron in President Sukarno. 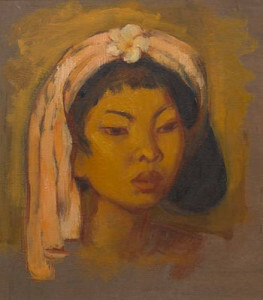 After 15 years in Southeast Asia, Meier briefly returned to Switzerland, but then returned to Bali, followed by Thailand. Staying with his friend Prince Sanidh Rangsit in 1957, he met his third wife, Laiad. In 1961 Meier moved to Chiang Mai, Northern Thailand, where he set up home with Laiad in a beautiful teak house on the banks of the River Ping. He was a prolific artist who continued to paint until his death, in Thailand, in 1982.